my favourites: the embossed monogrammed keepall and steamerbag. 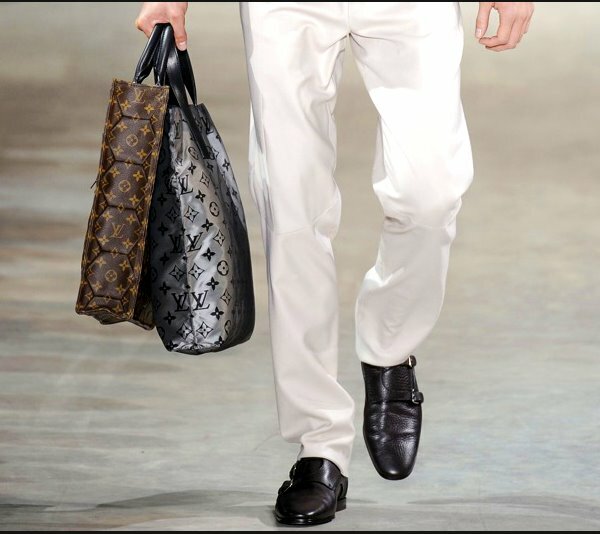 monogram madness, but my heart literally skipped a beat when i saw the keepall (smaller sized than usual? & please don't call it a man-speedy!). and those dusty suede shoes, must have. must save up for both shoes and bag. credit crunch, where? absolutely stunning. the alligator (am guessing it's not croc?) died a beautiful death. 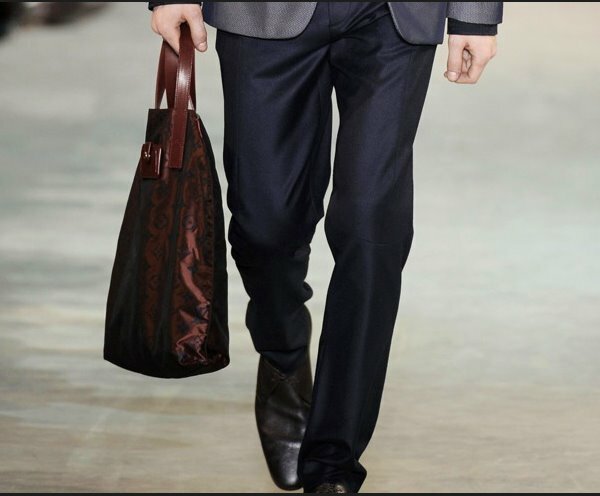 i guess the introduction of fabric bags makes it more affordable for the masses and will boost revenues. 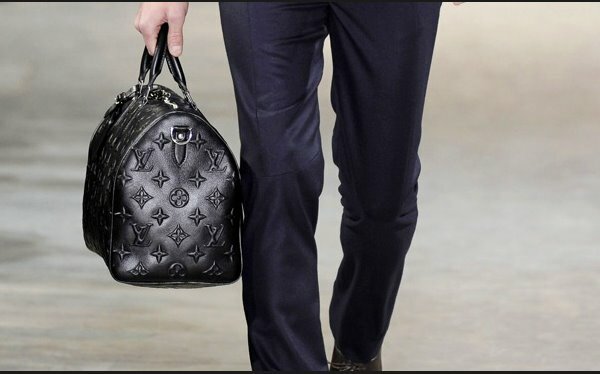 but then again vuitton's pricing is hardly predictable. recent days it veers betwen expensive and ridiculous. 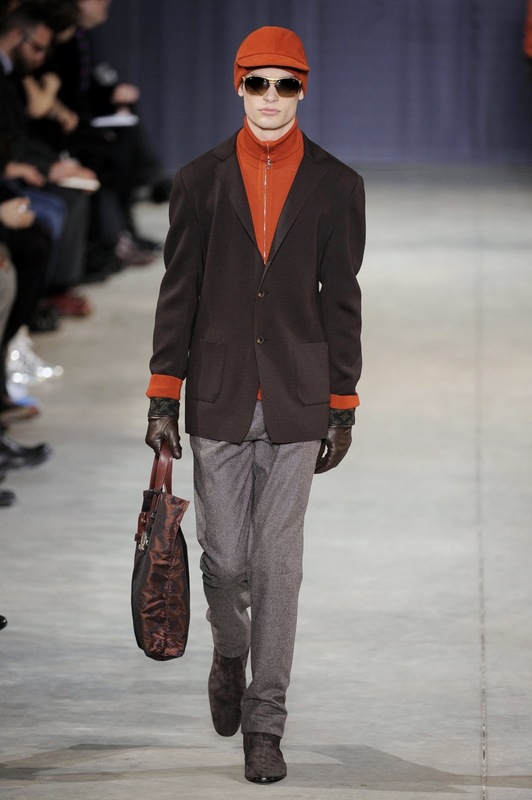 and oh, i am loving the monk straps shoes too, but it resembles something prada had done 2 seasons ago. 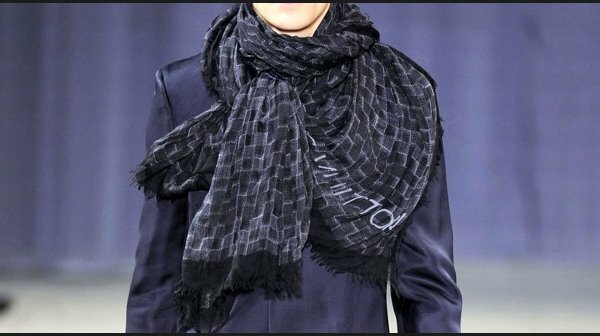 and finally men doesn't need to "borrow" the cashmere stoles from the ladies' section anymore. loving the checks and muted grey color. all in all, it got me excited and examining each look closely, which is a good thing i suppose. although we are in the midst of a hard, cold and economy stricken winter, i wish winter 2009/2010 will come s00o00n. oh, no wonder i like lol! now that you mentioned, the bags look like an extension of the ladies' paris speedy cubes bags, which was insanely expensive. oh my. Ah, i stayed up late trolling for these photos too. the embossed monogram is probably the piece d'resistance line for this season and we all know they'll cost an arm and a leg (or two?). 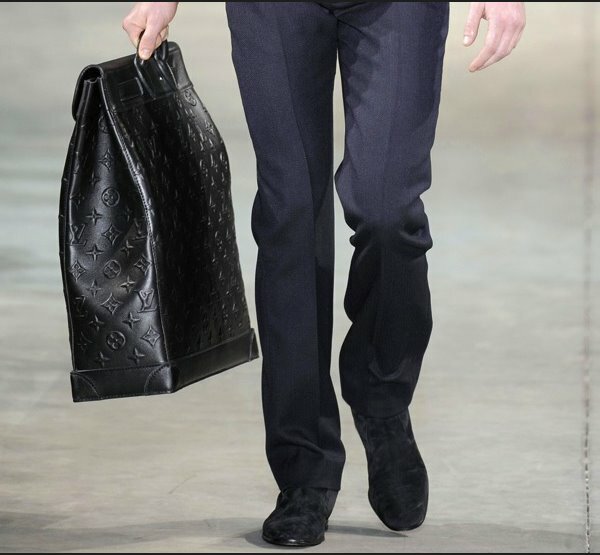 Someone from tPF called the Keepall (or is it a man Speedy, don't throw tomatoes at me) the Man Cube. I love the scarves and a couple of ties, too. I think I want the Steamer. And the Man Cube. Haha! I think more and more men are using the speedy 30 now. I might get a green Graffti speedy next month for myself. 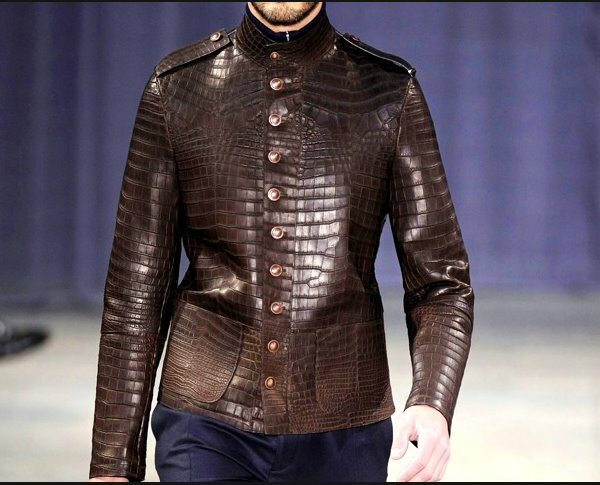 in my dreams im wearing that alligator jacket. spring/summer '09 is much better. Gah! Now I can't get this song out of my head! FINALLY, something to match the waterproof keepall. You have NO idea how long I've been waiting for this haha. The silver hardware looks so much nicer than gold, and the grey/black monogram is long overdue.